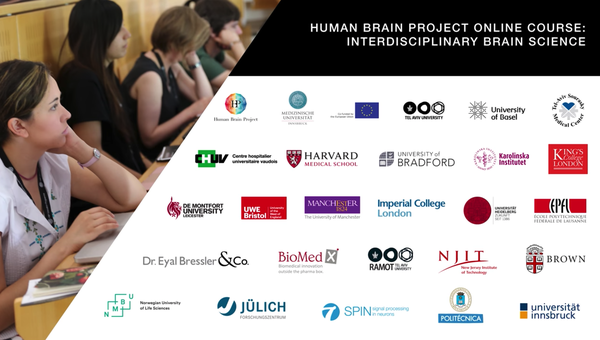 The HBP Curriculum Online Courses include basic lessons in the HBP core fields neuroscience, medicine and ICT as well as lectures on the complementary subjects of ethics and intellectual property rights. The videos are publicly available throughout the year. A discussion forum and additional learning material is available for each online lecture. Each online course is completed by an annual face-to-face workshop. The courses address early career researchers who want to gain knowledge outside their area of specialisation or who are interested in learning about ethical challenges or intellectual property rights. In total, it is possible to achieve a maximum of 12 ECTS credits for all 6 courses. * It is possible to only take the Basic exam, or both Basics and Advanced, but not only the Advanced exam. Examination fee: 30€ (per exam).